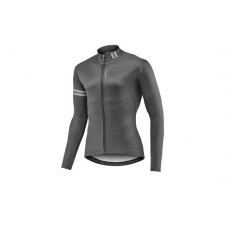 The all new Giant Race Day Long Sleeve Jersey features ThermTextura thermal construction for cooler conditions with UPF 30 sun protection and a full length auto lock front zipper. Built using Giant's Race Fit cut, Race Day offers a high performance aerodynamic outlook. Three back pockets give handy storage while reflective details to the sides and arms offer improved low light visibility. 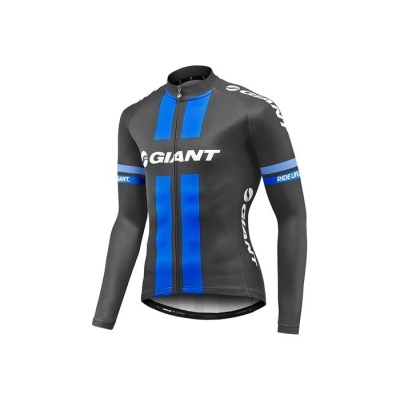 Buy your Giant Race Day Long Sleeve Jersey, 2017, Black and Blue from GiantBikeSpares.com.